Melvin Parson in front of his Garden. Parson delivers some of his produce to Zingerman's Roadhouse in Ann Arbor. Parson came up with the name “We The People Growers Association” and intends to one day create a world-class urban farm. Emanual Tyus (right, helping unload produce) is the first employee hired by Parson. Parson, originally from Detroit, intends to hire a dozen or so employees who've been incarcerated in hopes of helping them the way farming has helped him. Red Russian Kale ready for harvesting. 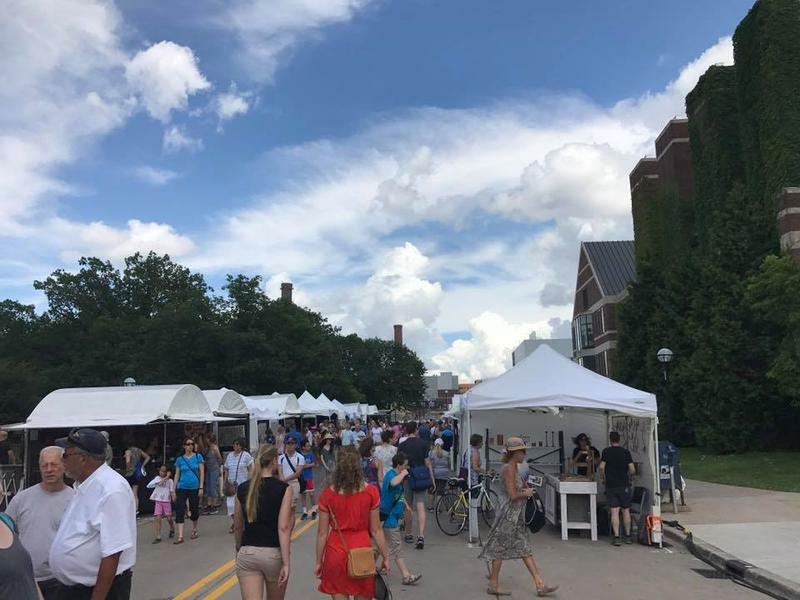 He says there's a disconnect between fresh, affordable, healthy, organic food and who can afford to buy it or have access to it. Produce ready to be harvested. He says he is grateful for all the community support he receives. He has his eye on a larger piece of land about a mile from where he is currently located and hopes to continue to keep growing and supplying healthy organic produce to restaurants and markets in Washtenaw County. 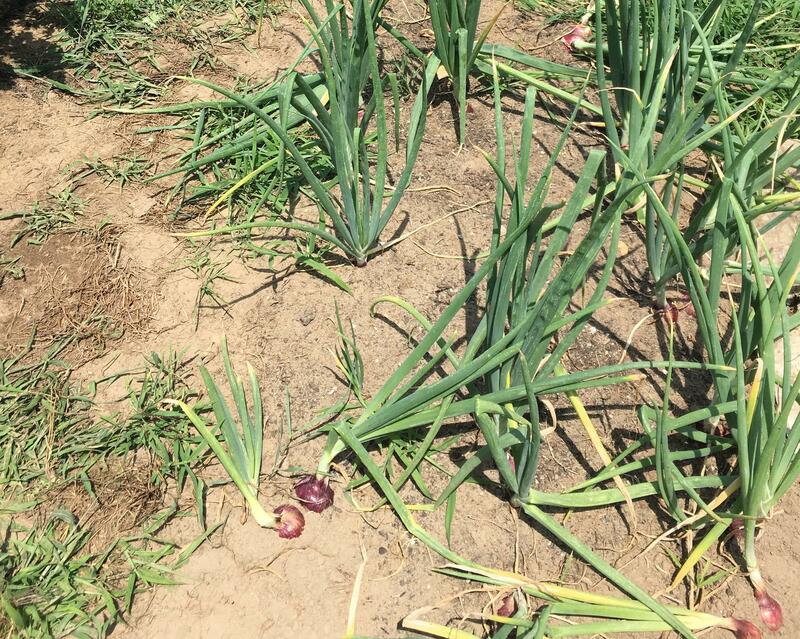 An errant onion in Parson's Ypsilanti Township garden. Brady Dolan of Ann Arbor is 13 years old and has been creating and building with dominoes since he was 6. He and fellow members of the “Incredible Science Machine” team are competing Saturday, July 29th at Trillium Academy in Taylor and hoping to set some American domino building records. 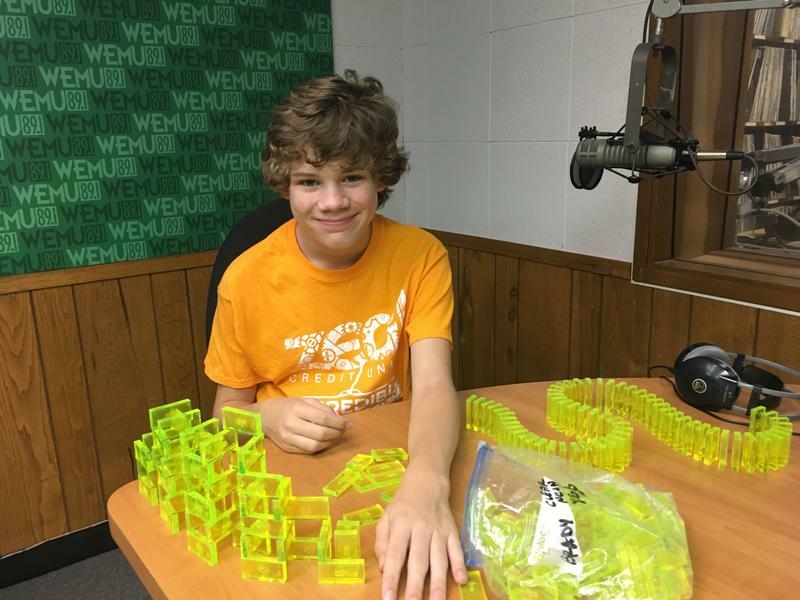 Brady and his mother Annemarie Dolan joined 89.1 WEMU's Lisa Barry in-studio to talk about his craft and do a building… and knocking down demonstration! 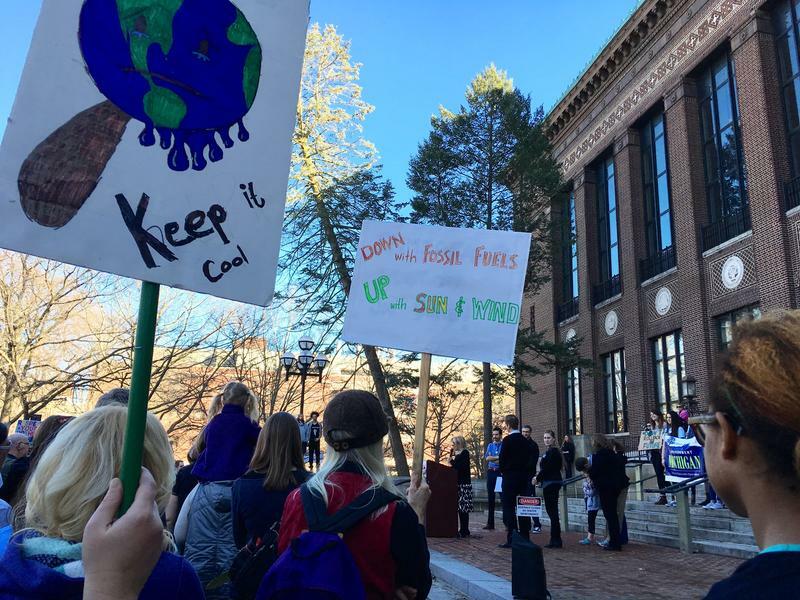 The Green Room: Local Efforts-Can They Solve The Global Climate Crisis? The U.S. is out of the Paris Climate Accord. Despite lack of support from the current administration, many are heartened by the growing interest in finding solutions emanating from other levels of government. In this installment of WEMU’s "The Green Room," Barbara Lucas explores a fundamental question: at what level will it be most effective to concentrate our efforts?